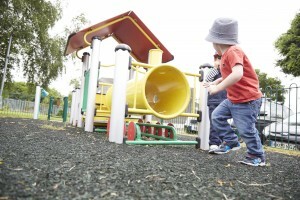 Thanks to many generous donors, we are well on our way to raising the funds needed to install a colourful play train unit in the park’s toddler play area. And we’ve just heard the great news that our project has been chosen for a cash award from the Tesco Bags of Help initiative which offers community groups and projects across the UK a share of the revenue generated from carrier bag sales in Tesco stores. We are one of three groups shortlisted for our local area and could receive £1,000, £2,000 or £4,000 depending on how many people vote for us during March and April this year. You can help us scoop the top award – and hit our target for the train! Just ask for your token at the checkout and drop it in the voting box each time you shop at the Tesco Superstore in Huddersfield or Express stores in Marsh or Halifax Road. Our crowd funding page is now closed, but if you would like to contribute to the train fund, you can still donate by sending a cheque made out to Friends of Greenhead Park to FoGP, c/o Refreshment Rooms, Greenhead Park, Huddersfield HD1 4HS. You can also call in with a donation to our drop-in session in the pavilion by the bowling greens on a Wednesday afternoon between 1.30pm and 2.30pm. The council are working on a new approach to play in Kirklees. 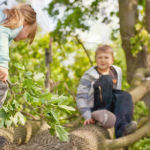 The draft strategy aims to make sure everyone has the opportunity to play outdoors, and encourages wild adventurous play as well as play in traditional playgrounds – both of which contribute to development. They have been consulting people via surveys and local meetings over the past few months. They are keen to hear from anybody who uses play spaces, whether they are a child, young person or adult – the more, the better! There’s still time to have a say by filling in a short on-line survey about how, why and where you like to play, and your priorities for the future. 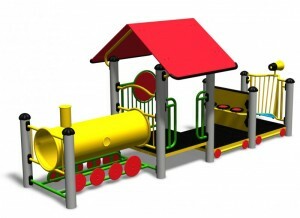 Help get our play train on track! The Friends of Greenhead Park are keen to improve the enclosed baby and toddler play area by the top cafe. We’ve come up with a colourful train unit which we think will be a great hit with little ones and will encourage both physical and imaginative play. All we need now is to find the money to pay for it! If you would like to make a contribution towards the train, you can donate on-line via our Just Giving crowdfunding page, send a cheque made out to Friends of Greenhead Park to FoGP, c/o Refreshment Rooms, Greenhead Park, Huddersfield HD1 4HS, or call in with a donation to our drop-in session in the pavilion by the bowling greens on a Wednesday afternoon between 1.30pm and 2.30pm. We would also welcome any help with fundraising, so do contact us with any suggestions or ideas. Posted in News	| Comments Off on Help get our play train on track! 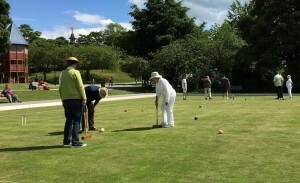 Since 2016, Huddersfield Croquet Club have been playing matches and practising on the lower bowling green in the park. New members are welcome and the Club run an open session on the first Sunday of the month from 2pm (up to September 3) when anyone can come along and have a go. All the equipment is provided, you just need to wear trainers or other flat shoes. The Club also runs weekly coaching sessions on the lower green on Tuesday evenings at 6.30pm – again new players are welcome. Normally there is one green available for casual bowling but occasionally the Croquet Club hold internal competitions which involve use of both the bowling greens all day. Competitions this year are on Sunday 23 July, Sunday 13 August and Sunday 1 October. For more information about Huddersfield Croquet Club, e-mail huddscroquetclub@gmail.com, call Rena Souten on 07799 895350 or visit their Facebook page. 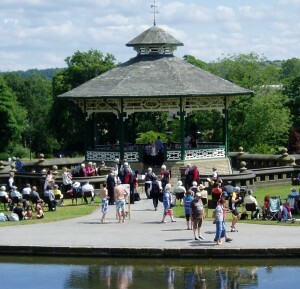 There’s a great programme of free concerts on the Greenhead Park bandstand this summer. From traditional brass bands to samba and funk, there’s something for everyone to enjoy. You can download the full programme here and there’s more information about the bands on our events pages for June and July – and watch out for August details soon. So come on down and enjoy the music – and hopefully some sunshine too! Sadly the Santa Special won’t be running on the miniature railway this year due to essential track maintenance work. However you can still see Father Christmas if you pop down to The Park cafe in the conservatory on Sunday 18 or Monday 19 December for their special Breakfast with Santa. Between 9.30am and 11.30am you can enjoy an unlimited choice of full English and continental breakfast, yoghurt and fruit bar, freshly baked morning goods, tea, coffee and a selection of juices for a festive price of £9.95, or just £3.95 for children 12yrs and under. 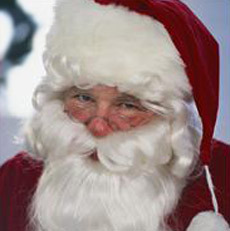 Every child will receive a small gift from Santa! You don’t have to book, but if you do your table will be dressed for Christmas. For more information, or to book, e-mail GHPark.conservatory@kirklees.gov.uk or call 01484 221515. The Park cafe will be open as normal until Friday 23 December. On Christmas Eve, they’ll be serving hot and cold drinks, cakes, toast and teacakes only until 2pm. Full service will resume on Monday 2 January from 10am. 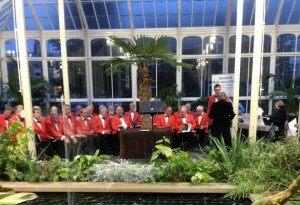 The Friends of Greenhead Park and Gledholt Male Voice Choir have got together again to put on a free concert of carols and Christmas songs in the attractive surroundings of the Greenhead Park Conservatory. The concert is on Saturday 3 December from 4pm to 5pm and everyone is welcome to come along and get in the Christmas mood. Mince pies & mulled wine will be on sale from 3.30pm to raise funds for the Friends and there will be a collection in aid of the Choir. 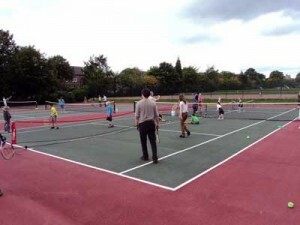 If Wimbledon has inspired you to dust down your tennis raquet, don’t forget that you can play for free in Greenhead Park – and there’s now an on-line court reservation system, so you can book to play at a time that suits you. You only need to register once, and then log in whenever you want to make a booking. The park courts also have weekly adult coaching sessions on Tuesday evenings run by qualified licensed LTA coaches, and we hope there will be some family sessions before too long. And a brand new Greenhead Park Tennis League has been set up too – Round 1 starts on Thursday 1 September. If you fancy playing in friendly singles matches for adults of all levels, you can join for just £15 (includes free British Tennis Membership worth £25!). Greenhead Park bandstand will be alive with the sound of music this summer with a great programme of free events for everyone to enjoy. The season kicks off with sounds of brass from Golcar Training Band on Sunday 19 June, 2pm to 3.30pm. There will be a collection in aid of the Friends of Greenhead Park. Youngsters from Stagecoach Theatre Arts take centre stage on Saturday 25 June with their summer open air production. They’ll be wowing the audience with a rip-roaring Broadway themed medley, along with cops and robbers, glamorous show girls and nasty villians. Performances are at 2.15pm, 2.45pm & 3.15pm and everyone is welcome to come and watch free of charge. Next up is the Kirklees Youth Brass Band who will entertain visitors to the park on Saturday 2 July from 2pm to 4pm. A collection for the Kirklees Music School Gift of Music Fund will help support talented youngsters whose families are unable to afford regular music tuition. If you enjoy a summer Sunday afternoon in the park, look out for more brass band concerts on Sundays in August. There’s Golcar Band on August 7, Huddersfield Youth Brass Ensemble & Huddersfield and Ripponden Brass on August 14 and last, but not least, Slaithwaite Band on August 21 – all from 2pm to 4pm. Collections at these events will support the work of the Friends of Greenhead Park. As well hosting musical performances, the bandstand will be a venue for scenes from Romeo and Juliet as part of Huddersfield Thespians’ forthcoming production of Shakespeare in the Park marking the 400th anniversary of Shakespeare’s death. Shakespeare in the Park runs from 7-10 July, 6.30pm-9.45pm including a half hour interval. It’s sure to be a popular event, so make sure to get your free tickets from the box office at the Lawrence Batley Theatre soon! With parks facing big budget cuts, having an active Friends group is more important than ever. The Friends of Greenhead Park will be holding our Annual General Meeting on Saturday 5 March at 2pm in the Greenhead Park Community Room and we hope that people who love our beautiful park will come along to support us. Following reports on what’s been happening in the past year and elections for the committee for 2016, there will be time for questions and discussion on anything to do with the park. After the meeting, everyone is invited for tea, cakes and a chat in the Pavilion by the bowling greens. Click on the links for more information about us and how to join the Friends of Greenhead Park.